“Avocado Mexican Grill” opened in Celebration recently and offers a lively and welcoming casual dining restaurant which specializes in Mexican food that the whole family can enjoy. We visited there with a small crowd of 10 and had a great time eating our way through the menu on offer. 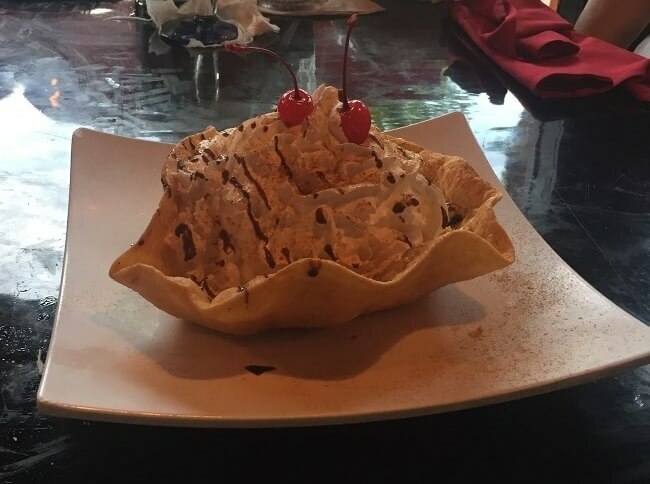 We particularly enjoyed the lively atmosphere in the restaurant and the attendtive staff who were helpful, and explained all of the menu options. There’s a choice of fabulous entrees, with varying spice levels (and calories!) to choose from. We tried some of their fabulous family fajitas. They offer chicken (spicy! ), steak and shrimp – or a combination plate with all three. We’d recommend that you get one order of fajitas to share between 2 people – it should be more than enough! Some of us tried their burrito plates which were great (and VERY filling) and we also tried their Mexican Tacos (get the “Supreme” if you really want a great taste!) When you arrive and are seated, order some nachos with a spicy dip while you order your food. It’s all freshly made and so the spice level varies from dish to dish we found. There’s plenty of other options on the menu to tempt you. 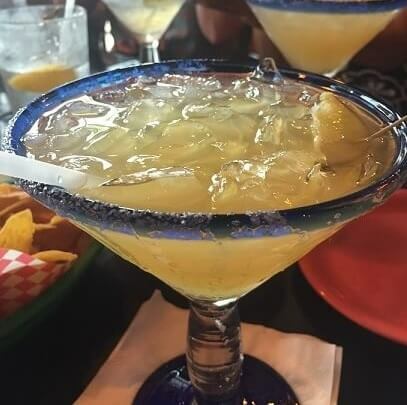 If you’re thirsty – try out their signature margarita made with top-shelf liquors and served in a HUGE glass. Be sure to order your Uber or taxi to take you home if you have more than one! Some of our group enjoyed the Red Sangria that’s made on the premises – and there’s always beer and wine available. Avocado Mexican Grill is located in downtown Celebration in Kissimmee, just by the lake and near to the Starbucks. It’s a great place to come to for lunch or dinner and is open from 11:00am each day. Visit the website for the Kissimmee restaurant at Avocado Mexican Grill. For information on area dining and reservations, contact a VillaDirect Guest Service associate at (866) 934-9177 or email guest@villadirect.com.